In the backdrop of visitor arrivals touching 79,098 from China in the first five months of 2015 with cumulative growth at 80.2% against last year, Sri Lanka Tourism met with the key hierarchy of China's largest news agency- Xinhua News Agency to strengthen the information sharing process based which can be mutually beneficial. The discussions centered around how to build brand Sri Lanka in the key nation brand building pillars on the content channelled through 180 countries via the established bureaus and correspondence across the world of the Xinhua News Agency which will support the development of trade/tourism between the two countries given that the new ethos globally is trade tourism. Huang Haimin- Bureau Chief Xinhua News Agency, Andy Jin VP/CEO Asia Pacific Daily, Richard Guan - VP/ General Manager Asia Pacific Daily and Thusitha Krishnadasa correspondent Xinhua News Agency. The Chairman Sri Lanka Tourism a Promotion Bureau Rohantha Athukorala said Xinhua has always been the main source for news and information in China and is in fact the voice of the government that stands to professional and sincere attitude to writing and reporting the truth and we are honoured to have a strong partnership with such a high calibre news agency he said. Athukorala shared some key highlights to how Sri Lanka Tourism does research to understand the consumer insights of a typical Chinese traveller before embarking on any of the key travel fairs or marketing activation in the Chinese market. He said ' Later this month, we will be taking part in the largest travel fair in china- Beijing, the BITE World travel fair with a strong delegation of 56 top travel agents that will be followed with a road show on the theme " One Island a thousand treasures" as per the aggressive market development agenda to further, deep root the economic and cultural relationship of the two countries' voiced Chairman Athukorala. There after we are focussing on The Sichuan province where the Government of a China has extended the Sri Lanka Pavilion to be at gratis that include Leshan television to cover the event. We want to develop the current flights from Chengdu to five times a week from the current three he said. The Vice President/CEO Andy Jin shared the different types of products that the Xinhua News Agency operates that includes 8 languages in the form of text, photo and video. He also emphasized the value of the new media market, which is the facilitation of multimedia platforms such as the internet, mobile, indoor and outdoor screen terminals at public venues such as airports and hotels, social media, and the creation of regional news providers such as Asia Pacific Daily which covers fifty countries and aims to become the independent and most important voice of Asia. 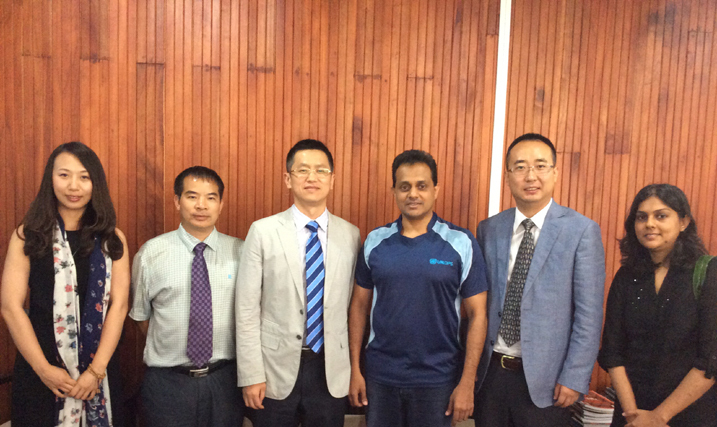 Athukorala proposed initiating cooperation with Xinhua by means of having special page or column within Xinhua news platforms to speak on new products of Sri Lanka Tourism on the premise " One Island, thousand treasures" where a typical traveler has the option of experiencing the top 8 attractions either in a single visit or a repeat and commented that Xinhua provides authoritativeness and objectiveness which is exactly what Sri Lanka require given the status quo of the international brand life cycle that Sri Lanka tourism is in. 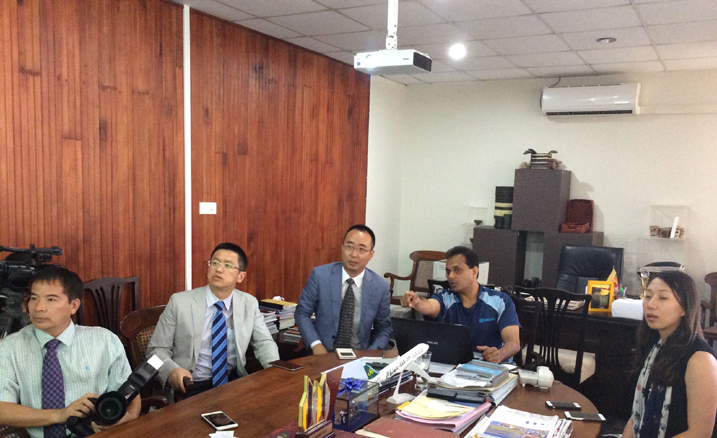 Concluding the discussion the Huang Hamin Burea Chief Xinhua News Agency said let's meet in Beijing on the 28th June and cover the Sri Lanka pavillion the BITE World Travel Fair and take the discussion forward in a mutually benefit manner.